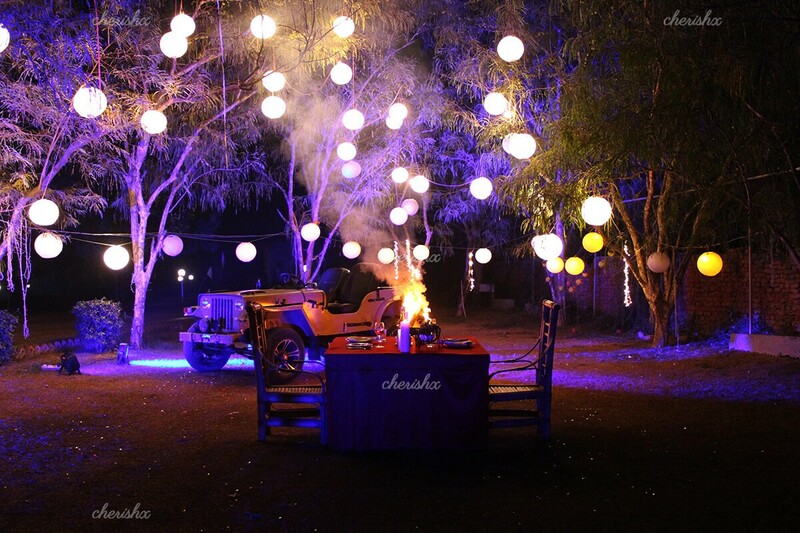 Feel lost in love under a starry sky in the middle of teak brown woods. In a private space surrounded by old big beautiful trees, moss veiled trail and rustic smell lit up by mesmerising lanterns an exquisite dinner table is waiting for you! You can soak in the stunning scenery with luminous petals of silver in the sky above you and dangling bright lanterns. 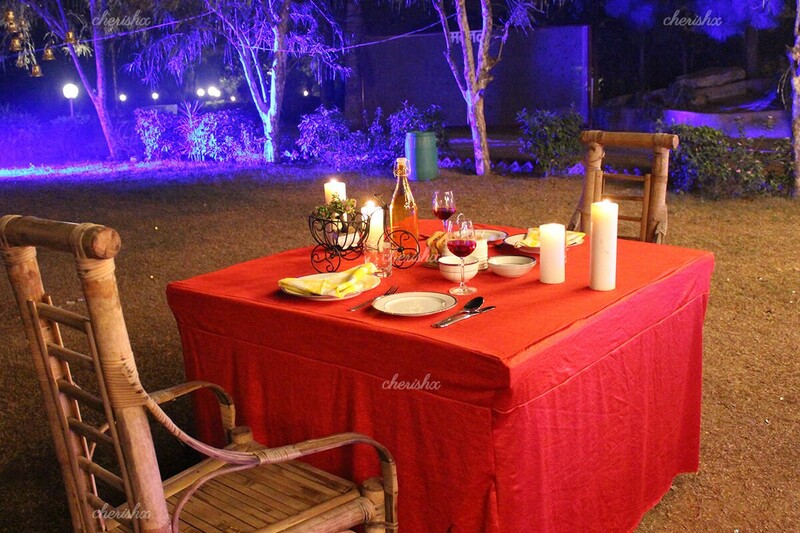 The lip smacking food with impeccable service adds to the magical experience of the lost woods. 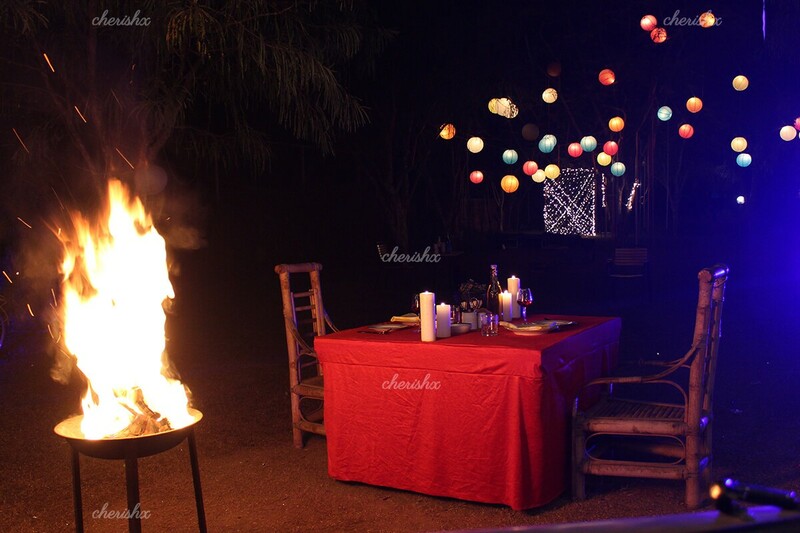 For all the love souls looking for an intimate time, this dinner in mystical and spellbinding woods must be the answer. 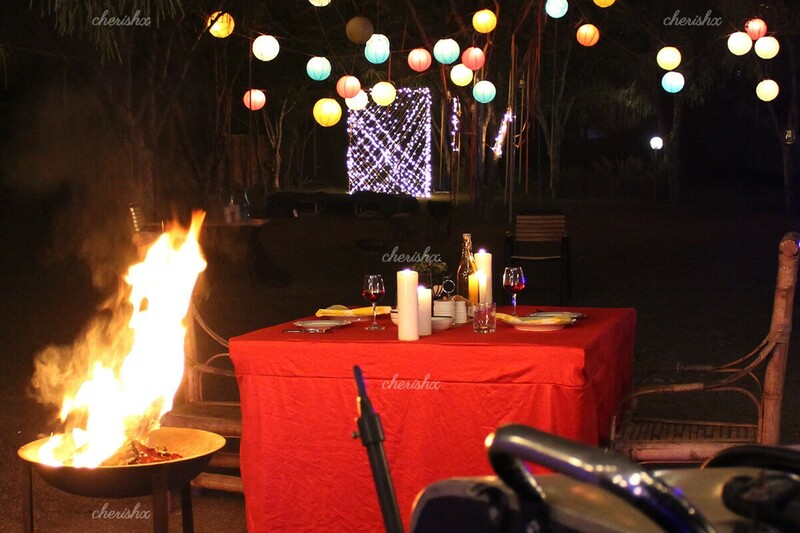 This delightful place is one of the best romantic dinner in Delhi meticulously designed for a quiet peaceful time specially for winter. In a private space surrounded by old big beautiful trees, moss veiled trail and rustic smell lit up by mesmerising lanterns an exquisite dinner table is waiting for you! You can soak in the stunning scenery with luminous petals of silver in the sky above you and dangling bright lanterns. 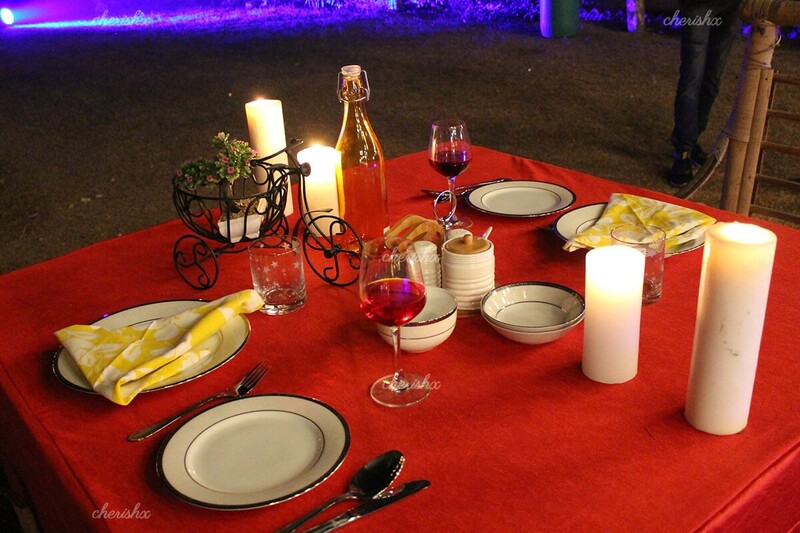 The lip smacking food with impeccable service adds to the magical experience of the lost woods. 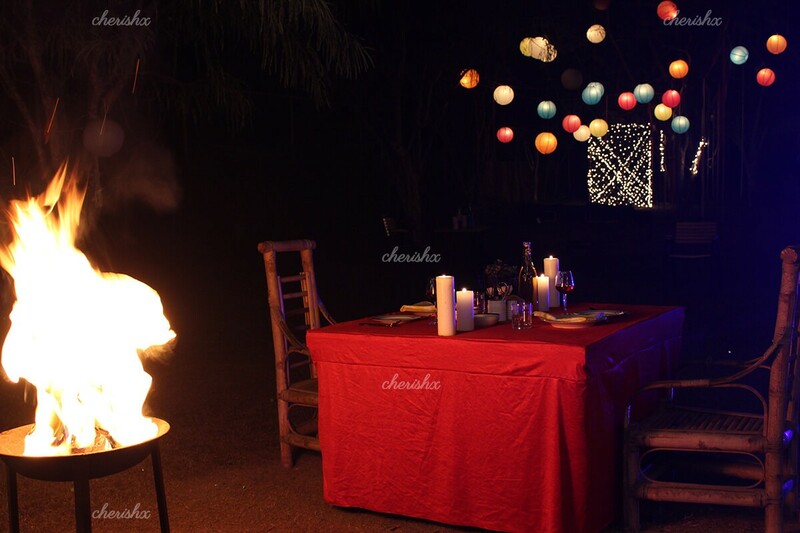 For all the love souls looking for an intimate time, this dinner in mystical and spellbinding woods must be the answer. 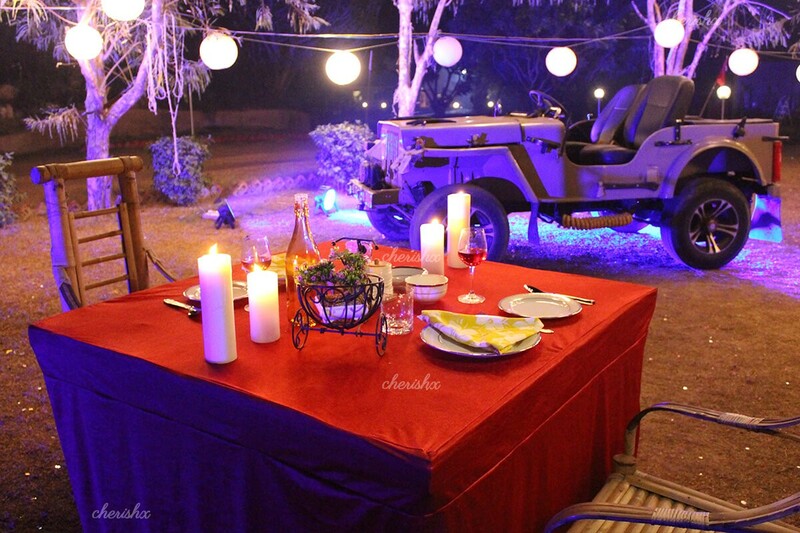 This delightful place is one of the best romantic dinner in Delhi meticulously designed for a quiet peaceful time specially for winter. When you reach the venue you can call the host and he will guide you through a beautiful way decorated to prepossess your souls to this private dinner table in the middle of a sequestered lawn. 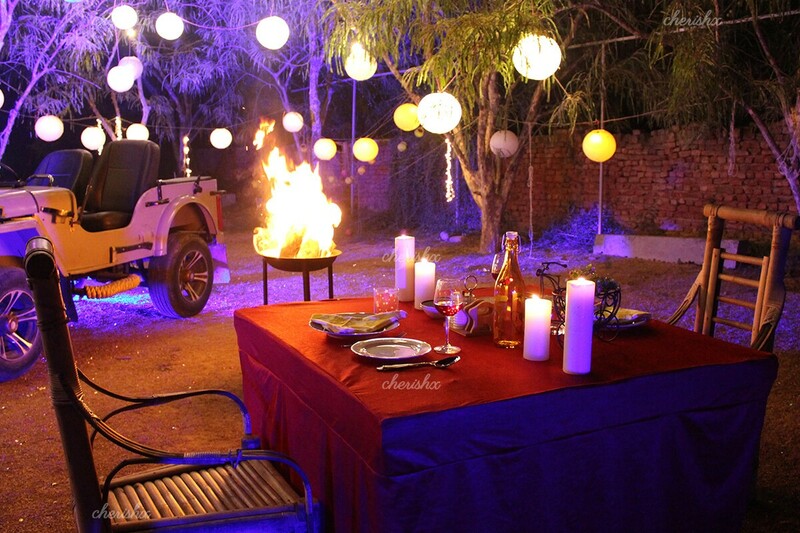 It doesn't end here, the dinner setup would instantly make you want to fall in love again. The table is embellished with flowers whose fragrance mixes with the woody incense of the surroundings. The glittering sky above you, the air rich with winter jasmine and cold is sure to bring you closer. The ambience would make you catch up on lot of old memories while making a few new ones as you dig in the hot and delicious food. To make this dinner even more special you can add some nice add-ons from the next screen. For you birthday, anniversary or proposal, we can write a nice personal message, or if your loved one has taste for music, we can organize a live performance by a passionate guitarist! The venue closes at 11:30 pm. You can place your order at most by 10:30 pm. On Tuesdays, and religious festivals non-veg meal cannot be made available. While coming to the farm make sure you don't leave GT Carnal Road, GPS might take you to a shorter but complicated path which can be little scary in night. It is only 3 kms from Splash Water Park. 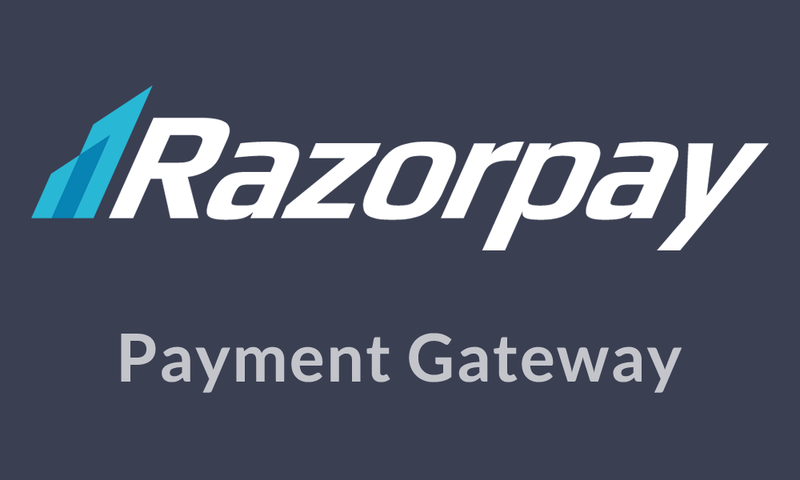 Food menu can be decided on a call with the vendor after the host details are shared 6-8 hours before the booking. On Tuesday non-veg meal cannot be made available.